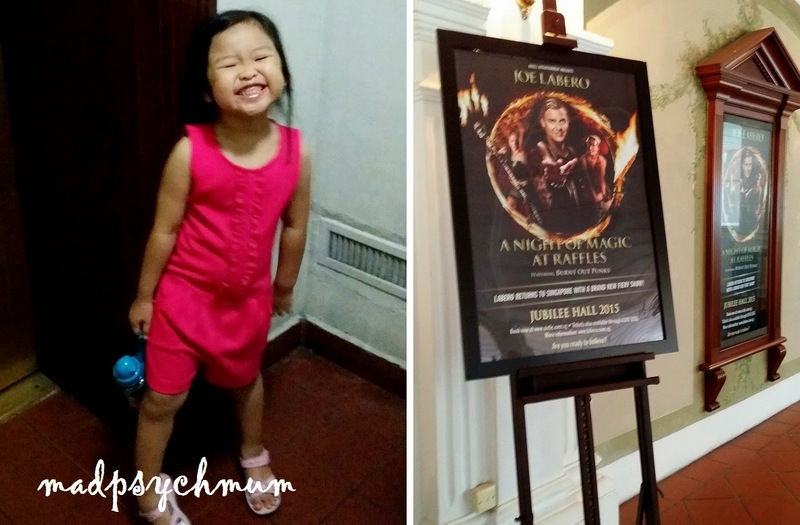 We were invited to Joe Labero A Night Of Magic At Raffles last Sunday. My girl was super excited when I told her that we were going to see a magic show. It was a first time for her. 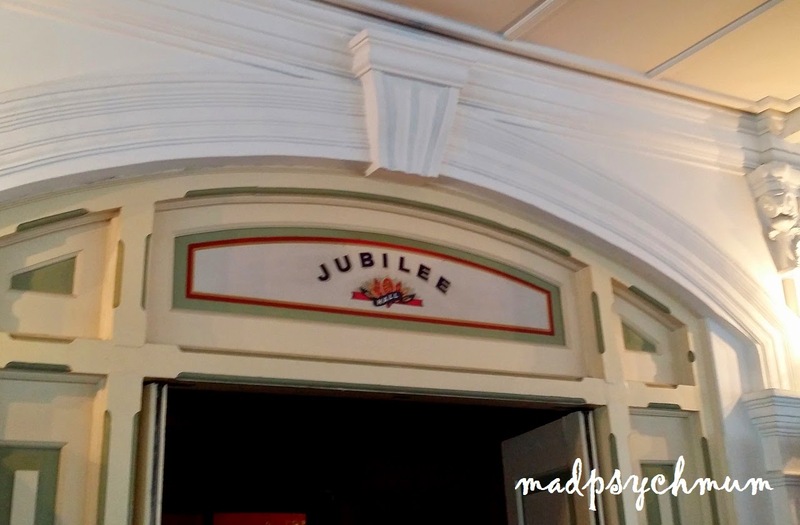 Held at the Jubilee Hall theatre at Raffles Hotel, the show promises to thrill audiences with fire-eating, trap-escaping and a whole lot of illusions. 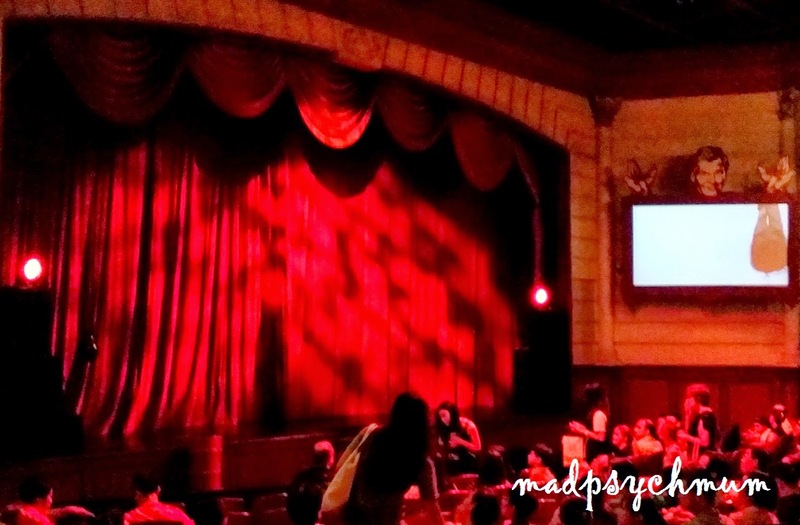 Due to the use of dark lighting and spooky music, it's definitely not for kids under 5 years old. 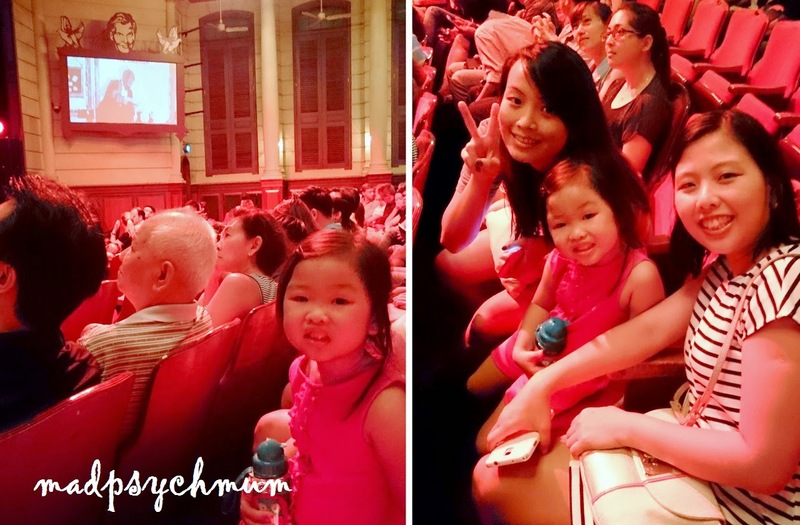 When the show began, my girl was all quiet and mesmerised. "How did the magician do that mummy?" she asked on numerous occasions. "I'm not sure, I think it must be magic!" I replied. Unfortunately for me, I do know how some of the illusions were executed, no thanks to the numerous episodes of "Breaking the Magician's Code: Magic's Biggest Secret Finally Revealed" that the hubby made me watch with him. Totally spoiled the first half of the show for me! I was like "aiyah, that's how he got out lah!" the whole time! All in all, it's a great show if you have not watched shows where they revealed magic's secrets (if you have then unfortunately that has killed all the magic in everything *bummer*). Definitely good for kids! Good news! 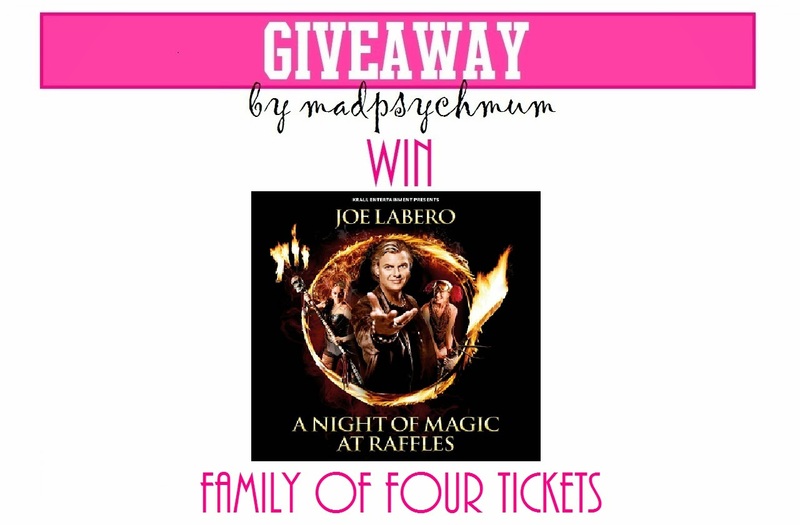 We are giving away Four Tickets to Joe Labero A Night of Magic at Raffles to THREE lucky winners each! a) This giveaway ends on 16th April 2015 (Thursday) and is only open to readers living in Singapore. Disclosure: Complimentary tickets were received from Joe Labero and Krall Entertainment for the purposes of this review and giveaway. No monetary compensation was received; all opinions are my own.